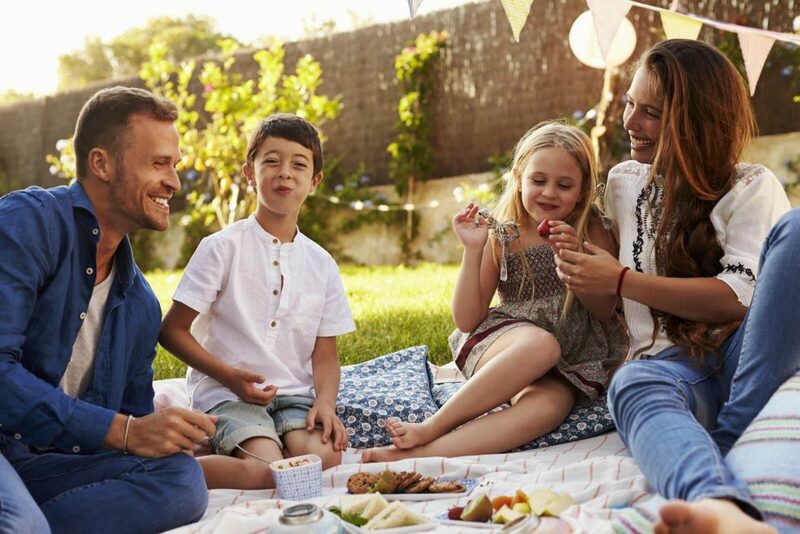 We’ve got the summertime family activity you’ve been needing! 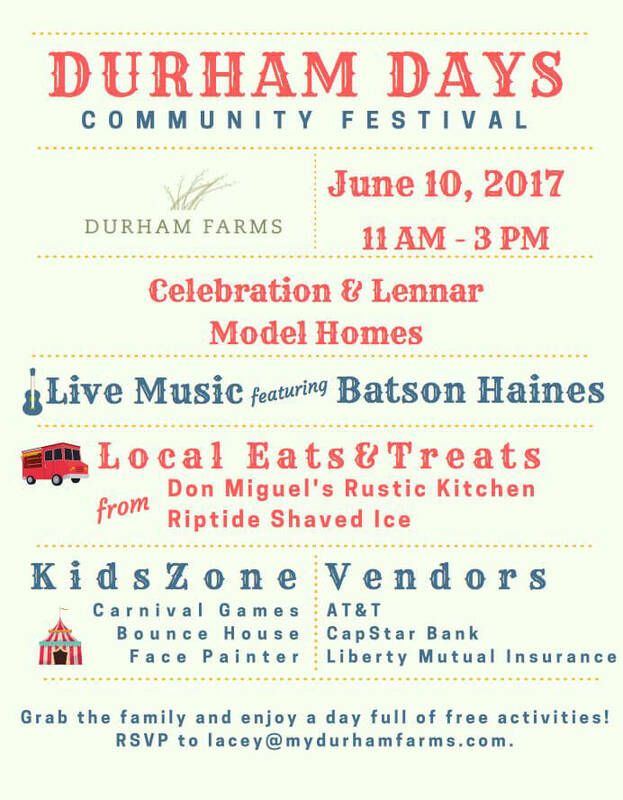 Join us from 11 a.m. to 3 p.m. on Saturday, June 10th at Durham Farms for our inaugural Durham Days Community Festival. We’ve got a full day of live music, food trucks and entertainment for the whole family! The best part? Durham Days is completely free! Some of the family-friendly activities will include face painting, yard games and a bounce house. Plus, enjoy live music from local band, Batson Haines. Then, you can cool off with Riptide Shaved Ice, and make sure to come hungry to enjoy amazing wraps and tortas from Don Miguel’s Rustic Kitchen food truck. This is a rain or shine event, so bring your kids, bring your pets, and let’s enjoy a fun-filled day with the best community around!